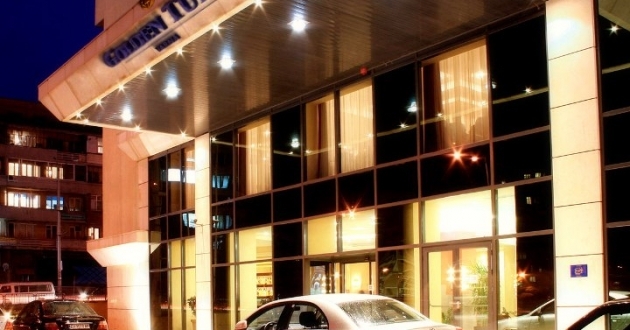 Location: Golden Tulip hotel is located at walking distance from heart of Varna city - the Cathedral and the central pedestrian zone. Accommodation: There are 90 rooms and suites in the hotel, all equipped with central A/C, TV set with satellite programs in ten languages, telephone with direct dialing, guest corner with table and armchairs, mini-bar. The bathrooms are equipped with bathtub, toilet-mirror, hairdryer, etc. The executive rooms provide individual working desk and Internet connection. Non smoking rooms and handicapped rooms/facilities are also available. Food: Main restaurant with 90 seats, bar/lounge. Dali: A spacious hall with French windows, synchronization, 120 conference seats, suitable for conference, presentations, seminars, pressconferences. Miro: A roomy multi-functional hall, with natural daylight, suitable for presentations, seminars, press conferences, training sessions, parties and cocktails. Monet: A cozy hall with natural daylight, suitable for board meetings and presentations, interviews, training sessions and seminars. Sport and facilities: Fitness center, tennis, pool. Other services: Business center, babysitting services, barber/beauty shop, casino, parking, room service, safe deposit boxes, pets allowed. Rates 2013 per night per room/suite. Special group rates are available upon request.